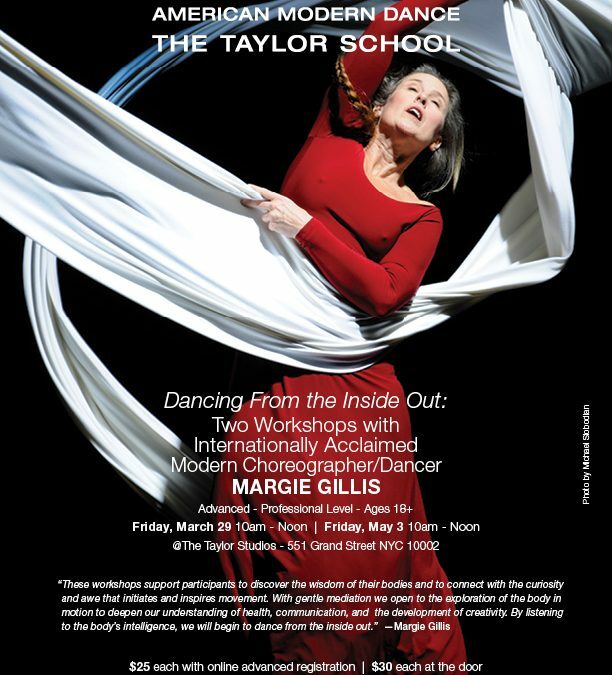 As one of this year’s Guest Resident Choreographers for the Paul Taylor Dance Company, Margie will lead two “Dancing From the Inside Out” workshops on Friday, March 29th and Friday, May 3rd at the Taylor School. This project is particularly meaningful to Margie, since the late Paul Taylor has been a significant figure in her personal life and career. It is a great honor and joy for Margie to offer this unique experience and share her wisdoms with professional dancers. For more information and to register to these workshops, click here. Margie’s new choreography with the PTDC will premiere on June 8th at the Manhattan School of Music.